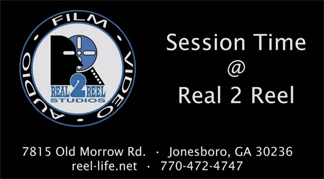 Will McPhaul and producer Ryan Burton host this episode of Session Time @ Real 2 Reel. Part 3 of a multi-part series about the making of a song from start to finish. “Soaked In Gasoline“, a song by Lynnay Della Luce, was co-produced by Ryan Burton and former Collective Soul guitarist Ross Childress. Part 3 is a 6 min video about recoding Ross Childress on electric guitar at Real 2 Reel Studios. The final episode will cover Lynnay’s vocal.